Of course I’ve always known that commercial deodorants with aluminum and other chemicals are bad for you. That’s not new news or even debatable. But until last year I was absolutely unwilling to stop using them. 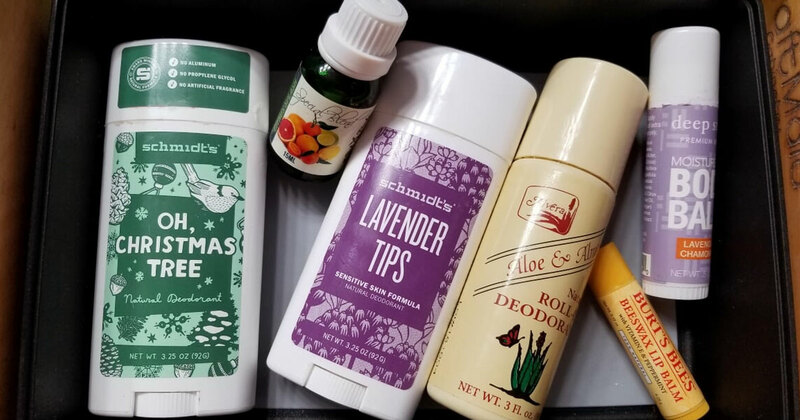 Because no matter which brand of “natural deodorant” – homemade or store-bought that I tried, my stank broke through in a matter of a few hours and that just wouldn’t do. It hated the SECRET and each morning when I used it, I felt sad and trapped. I had read somewhere that in order to “get off of” traditional deodorant/antiperspirants you needed to allow a time of detox. I read that using antiperspirant actually blocks the pores of your armpits and funky toxins build up inside such that even though you don’t emit a bad odor, the odor is still there – it’s just trapped. Well that sounded like complete nonsense to me so I ignored it. Until one day the conviction was more than I could bear and I decided to look into this detox issue and give it a try. It was fall and the hot sweaty season was over so a great time to just stink and bear it. So I went for it. Boy did I smell awful. I could barely stand to be around myself let alone imagine how it must be for everyone around me. I apologized to everyone and explained what was going on. I applied and reapplied my natural deodorant several times a day and when I was able, I stripped off my shirt and washed my arm pits in the bathroom sink throughout the day. Ugh! Detox is supposed to take a few weeks so I made the commitment to see it through. The unimaginable happened. Detox is real. There really is stank locked up in your pits. After ten days, the stink was less strong. And after 3 weeks it was noticeably less. I became a believer and that’s all the motivation I needed to continue. I pronounced my detox complete and able to stop feeling uptight about the odor after 2 months. The odor that was there at the end of the day was tolerable and I had successfully transitioned off of chemical antiperspirant/deodorant and was able to use natural deodorant successfully. Here I am 15 months later and let me tell you, it just kept getting better and better. Now, at the end of the day, I barely smell at all. And wow, I feel so much better not being a slave to those harmful chemicals. The photo is the front basket in my bathroom drawer. My absolute favorite is the Alvera brand, Aloe & Almond scent. We’ve been selling that at SC Real Foods since we’ve been in business. It’s extremely popular and with good reason. Some folks I’ve talked to don’t care for the fact that it’s a roll-on liquid, so another good choice is the Schmidts. The ingredients are a little more complex and less friendly than the Alvera, but it’s a solid, works great and I like that I can change up the scent if that’s my mood for the day. Let’s be clear. Natural deodorants are not antiperspirants. As far as I’m aware, you’re not going to be able to go natural and get the same level of dryness that chemicals can offer you. That’s a judgement call you’ll have to make on your own. There’s always a trade-off. Modern conveniences haven’t always been a part of human life and existence; it’s okay to choose not to participate. ← What’s Up with the Windmill?